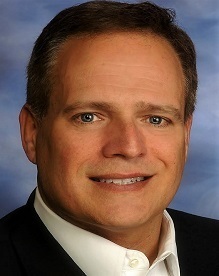 Thompson-Boerger Insurance serves Northern Kentucky, Cincinnati, S.E. Indiana (Tri-State area) and beyond. They are a personal, "full service" company. No automated phone system to get lost in. No “department” to be transferred to. No specific, individual job limitations. Zack cares that you have the best coverage available. 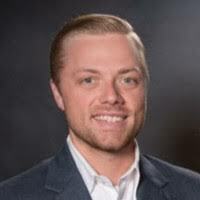 He’s great at thoroughly analyzing your situation, matching your insurance needs with the right coverage and offering options other firms don’t even think about. His level of knowledge and dedication to personal service is unsurpassed. 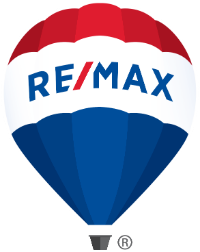 You can truly sleep soundly at night knowing Zack and his team are watching out for your family and business. Zack truly believes in customers for life. He not only quotes and writes insurance, he also services customers. He will assist with claim service, review policies that renew, and we will re-write policies as needed. He’ll tailor your protection plans to suit your needs, even as they change. And let’s face it, life happens. 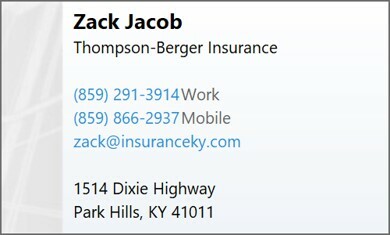 Contact Zack today to see how he and Thompson-Boerger Insurance can help you.